One of the most hyped areas of startup funding is crowdfunding. The various forms of crowdfunding provide new ways to fund your startup, from the earliest days until very late in the development of the company. But it’s much harder – and more expensive – than most startups think to run a successful crowdfunding campaign. 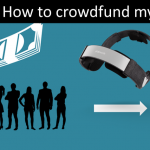 This post introduces you to crowdfunding for startups, and helps you consider which type of crowdfunding (if any) is suitable for your startup. You’ll also learn when such a funding method is beneficial for your company and when it has the best chance of success. 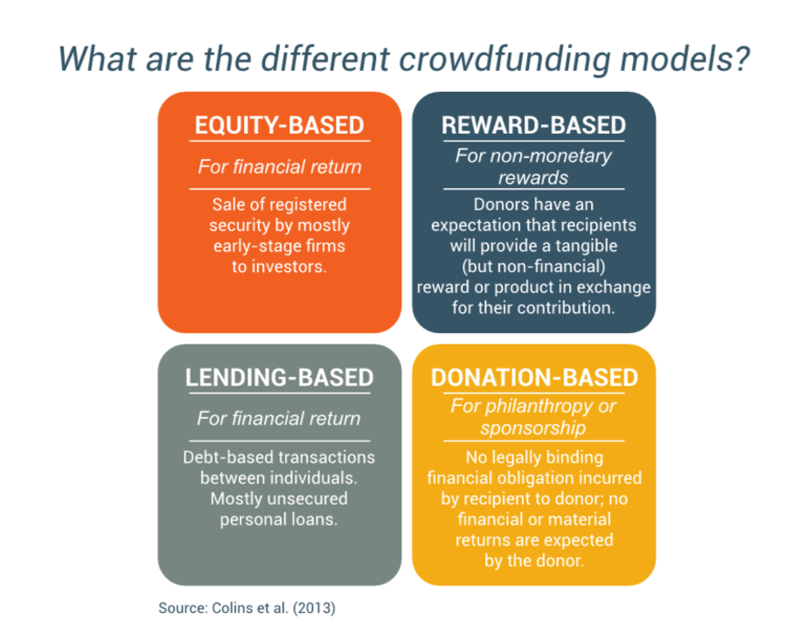 At what stage does crowdfunding work? Crowdfunding can be a lifeline for startups because it bridges the early stage funding gap of the company, when the project is considered too risky for professional investors and banks. 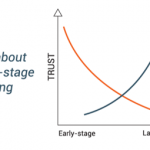 Because of the investor profile and the smaller investments per backer (lower risk), many startups now turn to crowdfunding at a stage when other investor types would not be prepared to invest. However, because of the differences between the different crowdfunding types, each is more likely to be successful at a different stage in your startup. This is illustrated below. Reward-based crowdfunding is possible from the very early days of the startup. The limiting factor is that you need something to show your ‘backers’, to get them excited about your new product, as they are very unlikely to support you based on just an idea. Typically, successfully crowdfunded companies have a strong team (demonstrated industry expertise) and at least a semi-functional prototype to show. 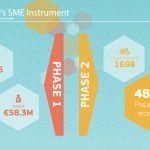 Some platforms (owing to some frauds in previous campaigns) now even require startups to showcase real pictures of their products/prototypes instead of computer-animated visualisations, thereby reducing the risk to backers by forcing startups to wait until it’s more likely they can successfully develop the intended product before starting their campaign. To be successful, it’s normally more realistic to start equity crowdfunding later in the process than a reward-based campaign. Most of the startups that fund via these channels have developed their first product and in many cases have both users/customers and revenue to show. The reason for this is that the backers’ motivation for funding is not only the love of the product, but also the hope of making a good financial investment. 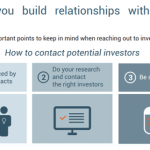 They also tend to ‘invest’ a bit more money compared to reward-based backers (€1,000 vs €50) and therefore expect to see more proof as they are taking a higher personal risk. Crowdlenders fund even later in the process, typically only after the company has shown significant revenue or even when the company has managed to remain ‘cash-flow positive’ (spending less money than is coming in from revenue) for months or years. This ‘traction’ is needed because the money is provided as a loan, similar to one from a bank, so the funders have no financial upside besides interest. To offset the missing upside they want a low risk of bankruptcy and to know that the company has managed to develop and sell the product. However, whereas banks will normally offer a loan only after the company has shown profits for several years, private crowdlenders tend to go in earlier and are okay with a shorter track record. 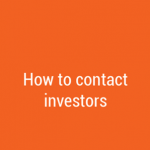 As an example, the platform Funding Circle requires that companies who want to crowdlend via their platform have 2+ years of filed accounts and an annual turnover of at least £50,000. In the following sections we’ll go into detail about the opportunities and risks inherent in each type of crowdfunding.